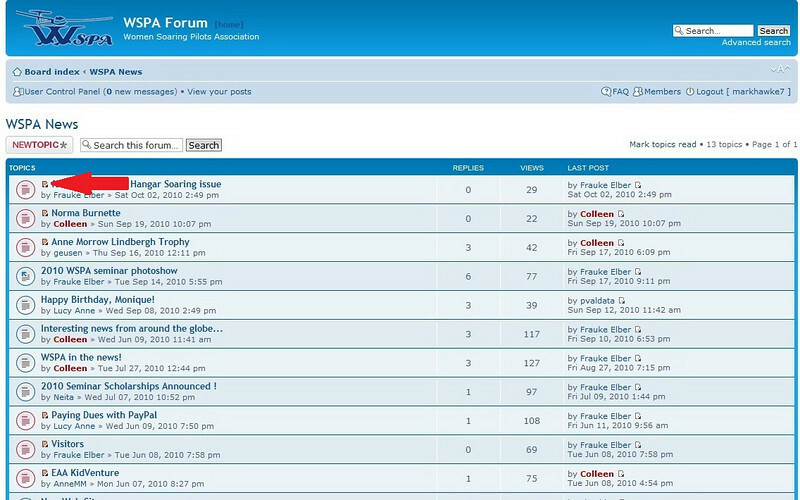 WSPA Forum • View topic - How do I know what is new to read? 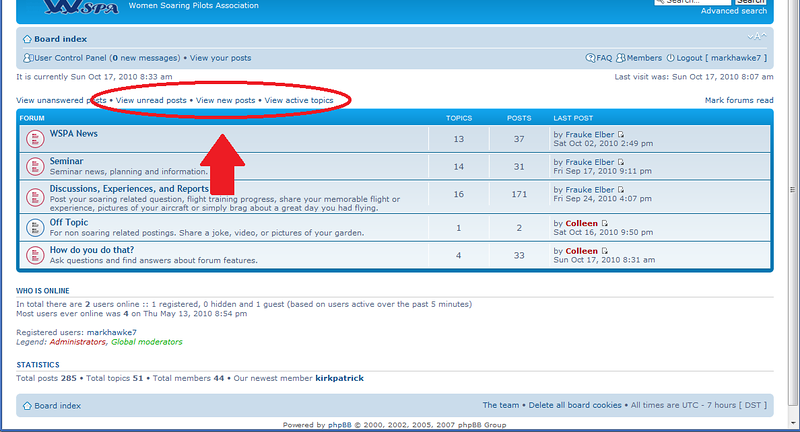 The forum has indications to let you know when something new has been posted. In the forum listing below, the two red arrows point out the difference. A red circle indicates there is something new in that forum you have not seen. In this example, Off Topic is the only forum where there are no new postings. Re: How do I know what is new to read? 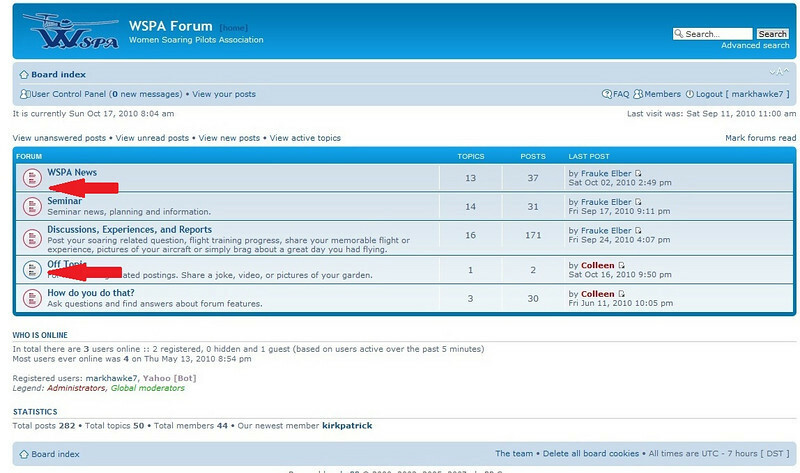 Once you click on a forum, you will now see the listing of topics. Below, the red arrow is pointing at a orangish rectangle indicating there are posts you have not seen (also see the red circle?). If you click on this rectangle, it will take you directly to the newest posting - you don't have to re-read each post to see where you left off - it takes you to where you want to be! Depending on what browser you are using, these orangeish rectangles may not go away after you have viewed that topic or the red button after viewing all topics in that forum. Simply refresh your browser, and that will reset the page - leaving only the colored indications for what you have yet to view. Does this make since? Please feel free to ask questions by replying. Your questions will help others so please don't be shy. Thanks Colleen, there always something new to learn. I did not know the trick with the orange square. The other question I have: can the order of postings be reversed so that the newest one is on top? But I guess using the orange square or the wording for the newest post eliminates the need for reversing the postings. Yes, you can reverse the posting order. Go to User Control Panel upper left. Select Board Preferences from the tabs across the page. Now select Edit display options from the menu down the left side of the page. Bottom of the page, toggle Display post order direction from Ascending to Descending.